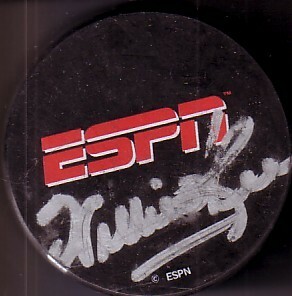 ESPN logo hockey puck autographed in silver by Willie O'Ree, the first black to play in the NHL. With certificate of authenticity from AutographsForSale.com. NOTE: signature has minor rubbing. ONLY ONE AVAILABLE FOR SALE.